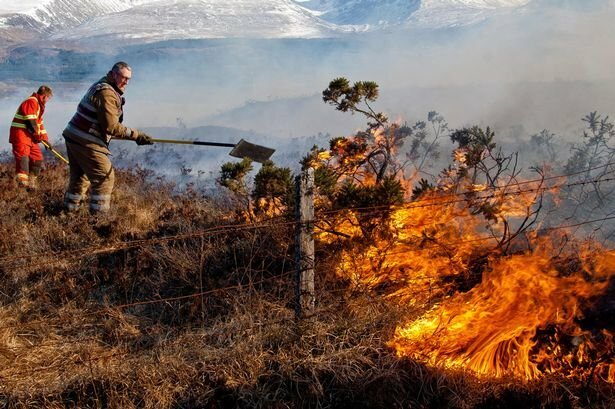 Over the last couple of days, its been on the news that wild fires have been spreading across Saddleworth Moor. It's also been declared a major incident and residents have been evacuated for their own safety. So far, around 5o homes have been evacuated on the outskirts of Manchester (Northern England) as over 100 firefighters battle the blaze. The fire has been declared a major incident - wind and hot weather over the last three days have caused the fire to spread and police have said that limited access to the site has made it difficult to tackle the blaze. Only last night was the Army also called in to assist with tackling the wild fire.